Hey everyone. I've some things I want to create, but before I do, I want to/need to learn. Let's assume I know absolutely nothing about any of this. Where do I start? Is there a "bible" someone could point me toward? @joedirt16 welcome to the MySensors community! At the top of this page is a link called "Getting started". Follow that guide. It is designed to explain how MySensors work, how to select a controller and how to build your first node. The most important thing: Don't try to do too much at once. Start simple, learn, and then build on that towards more advanced stuff. And if you get stuck, do a quick search in the forum. Threads here cover a lot of different cases. If you can't find anything, just post a reply here or create a new thread. We're happy to help. @mfalkvidd Thanks for the feedback. I have checked out the link a bit. (There's only so much time during lunch!) Do you know of any books that would provide substantial information? Sometimes, it's just easier to flip to a page than try to remember a web location. @joedirt16 interesting thought. To my knowledge, no-one has written a book about MySensors. @joedirt16 it's pretty much arduino coding. The mysensors core functions follow a simple template : you create the mymessage objects, define the node ID and its child ids, present all the previous child ids with appropriate variable types, during loop you call the send function to send the data to gateway (or other nodes); if the node has to receive something you also need to write some code for the receive function. The rest of the code is some basic code to read values from sensors or performing actions on the actuators. @gohan LOL! To me that fell on deaf ears, so-to-speak. Logically, I understand what you are saying, but I don't know what any of that means. I'm thinking a coding book would be a good place to start? @dbemowsk I'm thinking this would probably be the best place for me to start. I need to crawl before I can walk!! Thanks! @joedirt16 again, this does not show you the ins and outs of mysensors, but it will give you the basics of arduino. Reading a book helps, but nothing weeks better than hands on in my eyes though. 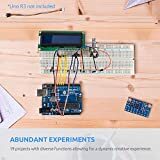 As others have eluded to, there are kits you can buy that usually come with an arduino uno and a bunch of sensors and parts for beginners. That might be the best PLA fee to start. Once you get that down, you can use the sensors for mysensors projects. Electronics hardware in general. Wiring together various electronic components. Selecting and buying parts and pieces. Soldering. Testing and troubleshooting. Software/coding/programming. Much of what you will do with this is more about hooking together different existing software code, but usually some level of code writing to glue together the different pieces is needed. If you have some experience & skills in either one of these two areas, you can probably learn what you need in the other one. If you don't have any experience in either of these areas, you will likely have a lot to learn before you will be able to build something you have in mind. Specific platform knowledge. You need to know how to work with Arduino hardware and the IDE (development environment). You need to have a basic understanding of programming Arduino such as writing "C" language code. Mechanical fabrication. You can do desktop prototyping without this, but to make a real-world device you need to be handy enough to put your electronics in an appropriate enclosure. Simple workshop fabrication, fasteners, adhesives, connectors, cables, etc. There is a lot of information available for beginners. A starting point would be to focus on learning Arduino. It was designed for beginners. You will find a lot of beginner tutorials on the internet, one good place to check out is Adafruit. There are many others. I would not start out focusing on MySensors. After you learn basics of Arduino and build some simple projects, it will still be quite challenging to jump directly to MySensors. MySensors is one part of a larger system - it lets you build sensor nodes but relies entirely on you having one of many separate Controllers to collect and work with that sensor data. Bought Raspberry Pi model 3, got it running. Install "Domoticz" controller on Raspberry Pi. (Domoticz is I think one of the easiest controllers to get running and works well with MySensors). Built "ESP Easy" sensor node on Adafruit Huzzah Feather hardware on a prototype board. ESP Easy does many of the things MySensors does, but with no programming. You will have to learn all about the Arduino IDE to do this, which is also required later with ESP Easy. ESP Easy does not require working with the radios that are central to MySensors, it uses small ESP8266 boards that use your wifi network instead. It's not better, just different and simpler. With a working controller and a working sensor node, you have the minimum needed to add a MySensors sensor node. It's pretty much impossible to get MySensors running otherwise. Depending on your project you may not require the additional complexity of a radio based MySensors network. @grubstake Thank you, kind sir, for your detailed and complete answer! This is excellent. I am completely new, so I'll be learning everything. My next step will be a search for books, tutorials, etc., of electronics, components, and so on. This is pretty exciting for me as learning new things I can actually use will be awesome. So, we'll see what happens! Thanks again.